The Aventium and Centennial credit cards, offered by First Premier Bank (or 1st Premier), are among the very few credit cards offered to those with bad credit and may seem attractive to people who don’t qualify for almost any other card. However, the cards come with a low credit limit, unreasonably high fees, and a number of “gotcha” charges that riddle the cards’ fine print. In fact, the two cards are exactly the same – always a red flag. The Federal Reserve tried to make lending more transparent in 2010. First Premier did an end run around them, and Aventium and Centennial are the results. The two credit cards come with an astronomical interest rate: 49.9% the first year, with the possibility of a minor reduction to 39.9% thereafter. For comparison, the industry average for those with poor credit is 23.95% – less than half of the Aventium/Centennial’s. First Premier is notorious for its high interest rates: previous iterations of the Aventium and Centennial came with 79.9% and 59.9% APR’s, but were yanked after public pressure. The cards also have a $75 annual fee the first year – 25% of the cards’ credit limit, the maximum first-year fee allowed by the Credit CARD Act of 2009. Essentially, the card only has a $225 credit line, after fees. That fee is lowered to $45 a year after that, but is supplemented by a $6.50 monthly fee, for a total of $123 a year – more than one-third of the credit limit. 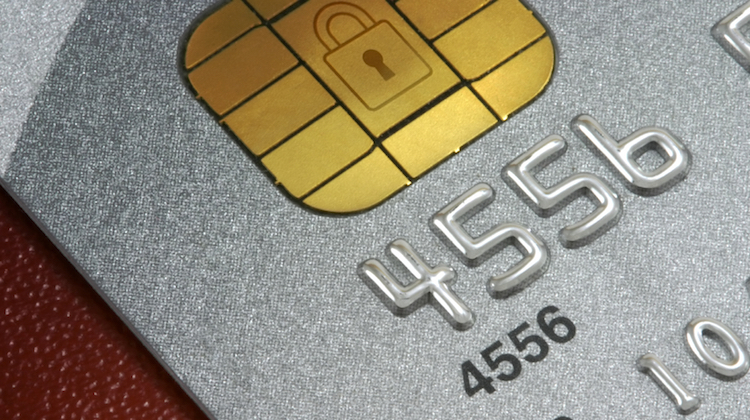 These unsecured cards come with a secret: they’re actually secured credit cards. In the cards’ very, very fine print is a requirement that account holders make a “security deposit” of $95, which will be refunded when the account is closed. This makes the cards almost like secured credit cards, but with even higher fees and interest rates! That adds up to $276 in fees – more than the credit limit. The CARD Act stipulated that the first year’s fees can be, at most, 25% of the card’s credit limit, prohibiting this practice. The Visa could cost, at most, $62.50 in the first year. Not to be deterred, First Premier issued a set of $300 credit limit cards with a $75 annual fee: identical triplets Aventium, Centennial and Classic. In addition, 1st Premier began charging $95 in processing fees, which were assessed before the card was approved and therefore technically did not count towards the first year limit. “Nice try,” said the Fed, which clarified earlier this year that all processing fees are indeed part of first year’s costs. First Premier moved on to Plan B: the $95 processing fee took on its current incarnation, a security deposit. By default, the credit limit is set at $300 the first year. After that, customers have the option to increase their credit limit – for a fee of 25% of the increase. To increase the credit limit by $400, then, a customer must shell out $100. This is essentially punishment for good behavior: only those who spend responsibly will qualify for a higher credit limit increase, but they will pay the highest fees. Credit limit increase fees, combined with cash advance, foreign transaction and monthly fees, mean that you can easily pay 70% more each year you hold the card. As time goes on, First Premier really starts making the money that it couldn’t make from you the first year, and therefore destroys the Credit CARD Act’s intent to protect vulnerable consumers. Fortunately, there are cheaper and more straightforward alternatives to the Centennial and Aventium for those with less-than-stellar credit. Orchard Bank® Classic MasterCards is intended to help establish or reestablish credit. HSBC, which owns Orchard Bank, gave the bank the goal of helping those with the least access to credit. While it does have some fees, it is far cheaper than First Premier’s cards and offers much lower interest rates. The ongoing APR is 15.74% - 25.74% Variable, and the annual fee is $39 - $59 the first year, $35 - $59 per year thereafter*. The Orchard Bank® Classic MasterCards is among the easiest unsecured credit cards to qualify for: FICO scores as low as 500-600 have made the cut. Among the few hard-and-fast qualifications are a $12,000 salary and a valid social security number. If the Orchard Bank® Classic MasterCards is not an option, a secured credit card is open to almost anyone and can help to rehabilitate credit scores. Orchard Bank also offers a secured MasterCard with an APR of 7.9% and an annual fee of $35 that’s waived the first year. The Applied Bank Platinum Zero has no interest rate, but has a high $119 annual fee and requires a deposit of $500 or more. Many credit unions offer low APRs as well as low fees. And amongst larger banks, the Capital One® Secured Mastercard® and the Citi Secured have high APRs, but low annual fees. The Capital One® Secured Mastercard® has an annual fee of $0. The ongoing APR is 26.99% Variable APR. The Citi Secured’s $29. The ongoing APR is 22.74% Variable. Secured credit cards require an up-front deposit, usually equal to the credit limit. This deposit will not be used to pay down a balance; it’s collateral held against default, and is returned when the account is closed. Watch out for this particular scam: Net First Platinum offers what looks like a credit card, but is actually a fee-laden gift card equivalent that can only be spent on the heavily marked up Horizon Outlet website. Another often-cited alternative is prepaid debit cards, but these come with a number of similar fees and do not actually help to build credit. A regular checking account serves the same purpose, but without the ATM, reloading, and monthly fees.